ALBANY – Constance L. Curry, 87, of Colonie, died Monday, November 21, 2011 in the Hospice Inn at St. Peter’s Hospital. Mrs. Curry was born in Albany, the daughter of the late Herman and Loretta Durand Mendel. A lifelong resident of Albany, she graduated from Vincentian Institute, class of 1942, and was employed by the New York Telephone Co. until 1952. She was employed by the Leukemia Society of America as Fund Raising Director. She founded the Albany County Chapter of the Leukemia Society and became their first Executive Director. She later expanded the chapter to include the tri-county area, and then organized a Tryon Counties chapter which included Montgomery, Fulton and Hamilton Counties. In 1967 she was recruited to service as a National Field Representative for the National Multiple Sclerosis Society. Serving as the first female representative, she was promoted to Senior Field Representative. During the 17 years as a field representative she was responsible for local chapters throughout New York and New England. She attended courses at Columbia University School of Public Health, and Executive Development at Indiana University, Bloomington, Indiana. Retiring in 1983, she was then appointed Director of Development for the New York Special Olympics where she worked until 1988 when she retired to join Realty USA as Associate Realtor. 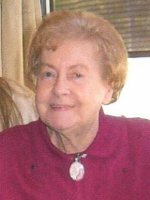 Mrs. Curry was a member of the National Association of Realtors, and the Greater Capital Association of Realtors, and was a communicant of Blessed Sacrament Church. Mrs. Curry was predeceased by her husband William H. Curry in 1992. She is survived by her children William H. Curry, Jr. (Susan) of Aurora, CO, and Hayden A. Curry (Christine), and Dorothy Sheller (Thomas) of Colonie; her daughter in law Karen Curry of Rotterdam; her sisters Margaret Stafford and Madeline Rosenthal; her brothers Charles Mendel (Ann) and Herman Mendel (Patty); her sister in law Trudy Mendel; and by five grandchildren. She was predeceased by her son Kevin Curry, her sister Sr. Dorothy Mendel, RSM; and her brother Eugene Mendel. Funeral services will be held in the Hans Funeral Home, 1088 Western Ave., Albany, Saturday morning at 9:30, and from there to Blessed Sacrament Church, 607 Central Ave., Albany at 10:30. Relatives and friends are invited, and may call at the funeral home Friday from 4-8 p.m. Interment will be in Memory Gardens, Colonie. The family suggests memorial contributions be sent to The Sisters of Mercy Retirement Fund, 310 So. Manning Blvd, Albany, NY 12208. To leave a message of condolence for the family, send a sympathy card, or obtain directions to the funeral home, please visit www.HansFuneralHome.com. I am sorry for your family’s loss. I met Connie several years ago when I became a Realtor. She was a very kind woman and always willing to lend a helpful hand or share her wealth of Real Estate knowledge. Your family is in my thoughts and prayers. Dorothy, I am very sorry for your loss. I know you have a lot of good memories to think about each day.